We’ve been hard at work building new community customization features that we can’t wait to show you, as well as a few exciting new book and journal launches. As always, feel free to send feedback our way by replying to this email or visiting our discussion forums. Specify custom Pub download files. PubPub has always supported exporting auto-generated versions of Pubs in a variety of file formats. Now, communities that create static of their Pubs with custom branding, typesetting, or presentations can allow users to download those versions as well. We also added the ability to download auto-generated files for Pubs with embedded discussions. Previously, this wasn’t possible. Build your custom homepage. One of the most frequent requests we hear from communities is the ability to customize their sites, especially their homepages, to better match their brand and style. As a first step, we’ve created a brand new landing page builder that allows communities of all types to create a wide variety of beautiful homepages that can be used to drive visitors to information about your community, mailing list subscriptions, specific issues, and more. 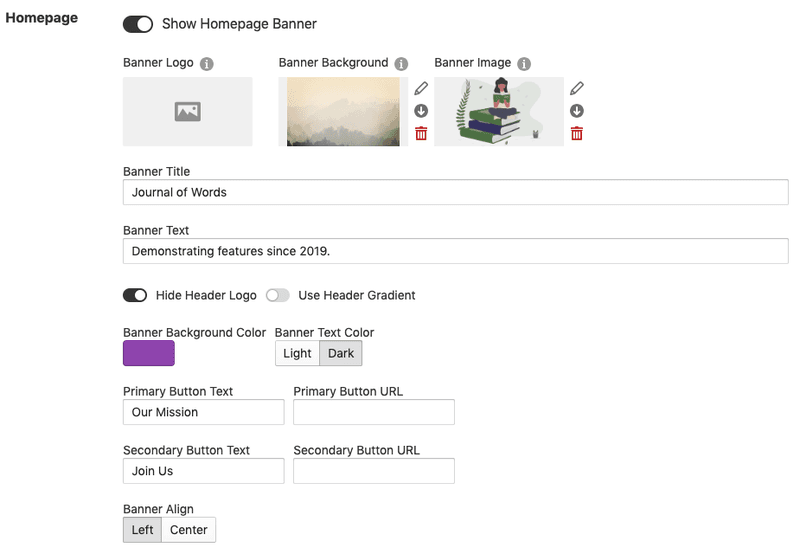 By combining this new tool with our existing support for custom HTML and rich text blocks, community admins can now create almost any kind of homepage they want. To customize your homepage, visit the settings section of your community management options. As always, these new features have been fully documented in the PubPub Help Reference section. Want your community news featured here? Sent a note to team@pubpub.org or post it to our new Discourse community! The Good Drone by Austin Choi-Fitzpatrick is now up on PubPub for open peer-to-peer review until May 1, 2019. The book will later be published by the MIT Press. Please add your feedback and comments! The Death of Public Knowledge? by Aeron Davis is now on PubPub from Goldsmiths Press. Duke Visible Thinking, a new online multimedia publication featuring faculty-mentored work of Duke University undergraduates from across disciplines, launched today on PubPub. The MIT 24 hour challenge will take place on March 14, 2019 (Pi Day). A digital fundraising campaign, the 24 Hour Challenge calls upon MIT alumni, students, parents, and friends to help create the future at MIT. Consider participating in this challenge to help support we and others at MIT are doing! Join our new Discourse community! If you’re interested in becoming a more active part of the Knowledge Futures Group community, we’d love to get to know you in our new Discourse forums. Going forward, we’ll be using the forums to offer support and gather ideas for PubPub, as well as discuss other KFG projects, ideas, events, and more.